Fast growing handsome shrub, for well drained soils. 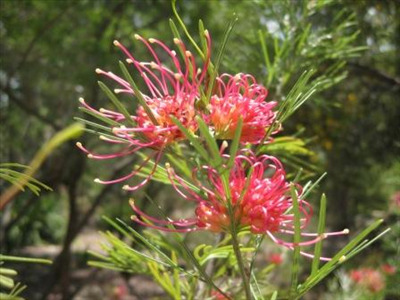 Bright red spider flowers are produced over a long period from winter through summer. Tolerant of alkaline soils, full sun or partial shade and light frost. Excellent fast screen and bird attractor. 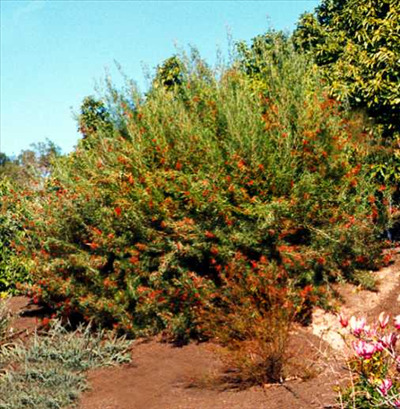 Coastal or inland plantings. Prune when young for bushier habit.